Author Of The Week: Chat with Paula Stokes (Hidden Pieces), Plus Giveaway!! 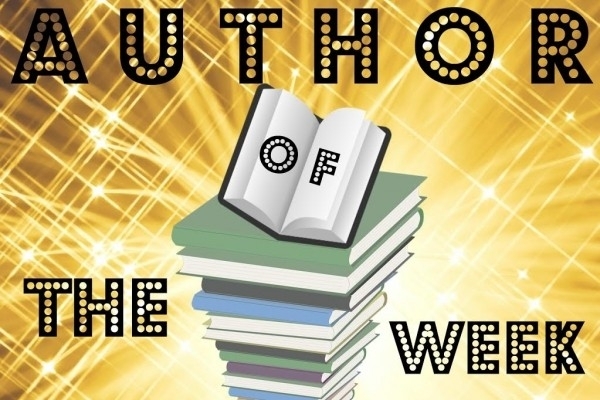 Introducing Paula Stokes , YABC's Author of the Week!! Paula Stokes is the author of several novels, most recently Vicarious, Ferocious, and This is How it Happened. Her writing has been translated into eleven foreign languages. Paula loves kayaking, hiking, reading, and seeking out new adventures in faraway lands. She also loves interacting with readers. Find her online at authorpaulastokes.com [authorpaulastokes.com] or on Twitter and Instagram as @pstokesbooks. Embry thinks she’ll have to take the secret to her grave, until she receives an anonymous note—someone else knows the truth. Next comes a series of threatening messages, asking Embry to make impossible choices, forcing her to put her loved ones at risk. Someone is playing a high stakes game where no one in Embry’s life is safe. And their last move ... is murder. The inspiration probably came from a few different places, including reading other thrillers about people being blackmailed/threatened and trying to decide in my brain what I would do in that position, as well as spending time at the Oregon Coast, where the book is set. The beach, in winter, is actually a really atmospheric setting for a dark and twisty book and I love how the location adds to the overall creepy feel of the story. The book definitely came first. I wrote this with the working title of CHOOSE, and the original draft was darker and more shocking in the sense of the choices the main character was forced to make. During the writing and revision process, some of the choices got scaled back to feel more realistic within the context of the characters and their motivations. Because a fire is integral to the plot, I then considered a lot of titles that used the words "fire" or "ashes" before finally settling on HIDDEN PIECES, a title that revealed itself during revision when I changed the first page of the book. I feel like the best titles reveal themselves during the writing process, though I have definitely started with a title before, as in the case of LIARS, INC. I am proud of the scenes that show Embry's low-income status and how it plays into her thoughts across almost all aspects of her life. I know many of the people in the YA community are comfortably middle-class, but I am not and never have been, aside from a few months when I worked a high-paying job that I absolutely hated. A lot of the things Embry and her mom deal with when it comes to money--can we afford to go out to eat, can we afford to fix the furnace, how are we going to pay these medical bills--are things my loved ones and or I have dealt with personally and it means a lot to me to be able to put them in a story where other people like me might feel represented. I am also proud of scenes featuring Embry and a local homeless person that come later in the book, because I volunteer with the homeless and I think they are often unfairly stereotyped in books and movies. YABC: Thinking way back to the beginning, what’s the most important thing you've learned as a writer from then to now ? I learned that there are no guarantees, that it never really gets easier, that I have to write for myself and because I love to write, because most of the "life changes" I dreamed about as a pre-published writer haven't happened. But that's okay, because I do love to write and no low sales figures or negative reviews are ever going to take that love away from me. We have very little power as writers, but that's one power I do have. No one else can ever tell me I have to quit writing. It's MATTE! I don't know why I am obsessed with matte covers, I just am :) But I also really like the cover art too. I love the girl they picked, because she's a really good representation of Embry, and I love how the designer incorporated both puzzle pieces to play off the title and fire/burning to incorporate in the fire storyline. Oh and it's small and random, but I love the title font. I am not a visual artist at all, and it always amazes me to see disparate elements come together to create such a powerful final image. Finally, and perhaps most importantly, this cover does a great job of conveying the tone of the novel. YABC: What new release book are you looking most forward to in 2018-2019? YABC: What was your favorite book in 2017-2018? I've spent most of the year reading adult thrillers, but I'm going to give a shout out to THE WICKED DEEP. Shea Ernshaw's YA debut about the spirits of three witches who manifest every year in the teen girls of a small town and go on a killing spree was the perfect blend of high-action plot and evocative prose. YABC: Is there anything that you would like to add? The synopsis sounds very exciting! I absolutely love the cover and the blurb is so intruiqing! LOVE! I love the cover. It sounds suspenseful. Kind of like I Know What You Did Last Summer. Love this cover .. It adds to the thriller aspect of the synopsis! Definitely my type of book and sounds like it can be an amazing movie adaption. The cover is amazing and well done to match this exciting mystery promised in the synopsis. I am in love with this cover especially after reading the blurb and the interview with the author. The way she describes it coming together even better than she could have imagined says to me that it is right on point for the storyline! I love the puzzle pieces and the whole vibe the cover gives off.